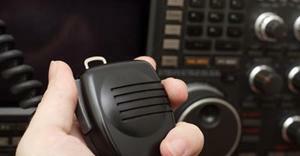 ACMA Consultation has opened on possible new approaches to amateur radio qualification arrangements. This consultation is being performed prior to going to tender for the contracts to supply these services. The current Deed arrangements expire in February 2019. The WIA will be making a submission and all interested parties are welcome to make a submission. If you would like to make a submission for the WIA to include in its submission then please contribute your comments to the WIA via support@wia.org.au by COB on Monday 18 June 2018. The ACMA Deadline is 2 July 2018.